Personalised Champagne makes the perfect gift. Unique, special and thoroughly enjoyable! This grande reserve is an excellent aperitif or occasion Champagne . The half bottle of personalised Champagne is beautifully presented to ensure the looks match the taste of this gift. Creating your personalised label is very easy using our unique system. Simply select your favourite label design and add your message of choice to create the most memorable of gifts! Appealing to both your smell and taste, and with a look of elegance, a personalised bottle of our Signature Grande Reserve really is one of the best gifts you can give. A bottle of personalised Champagne is a wonderful way to send your special message. Our unique label creation system's ease of use allows everyone to bring out their creative side and really enjoy creating their special gift. It has a wonderful selection of personalised Champagne labels to choose from, and you simply add your message, image or company logo to create the most unique and memorable of gifts. 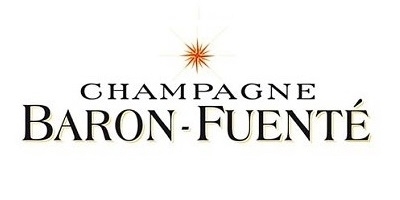 since the 17th Century and use grapes from the best villages in the region to produce quality Champagnes. We have selected this Champagne especially for its exceptional flavour and it is a favourite with clients. On the palate the wine is well balanced, light and finishes very cleanly. We wish for all our gifts to be a pleasure to send and a delight to receive so we present your personalised Champagne gift with a beautiful hand-tied bow to finish off this stunning gift.